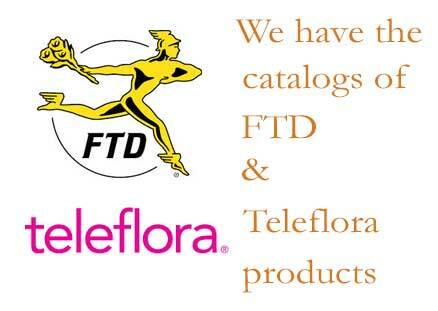 We carry the full line of FTD and Teleflora eCommerce products, as well as several others. We also have a library of images from the Independent Florist Association which are available for use by any of our clients. Our independent florist items already have descriptions and prices assigned, both of which can be changed to match your market. We believe that since this is your eCommerce website, you should decide what products are available for order. We enable the libraries of the products you carry, and you get to go in and assign the products you want to the categories you want, their prices, change their descriptions and pretty much anything else you want. As time goes by you will want to edit the products on your website. We don’t throw any surprises up as far as listing a product you don’t have the container for, or something that is out of season or unavailable in your area. You can change your products as much as you wish, edit the order in which they appear in their respective categories and even set special pricing for when roses shoot up in cost around Valentine’s Day. We make it easy to sell your own products and floral creations on your florist eCommerce website. You take the pictures, upload them through SiteWorks and fill in the information just like you would any other product. That’s it. You can create special categories of local only specials on custom pieces or market homecoming corsages made especially for the local schools. You can set the special items up so they can’t be wire-ordered, or they have to picked up at your store. You have full control on how you sell your products. We don’t place limits on the number of categories you can have on your florist website. You may only run 8-12 during the summer, but during the fall, winter and spring you may have 20 categories live…maybe more. If you have questions concerning how to list items or categories, or would like our advice we will be glad to help, but we won’t force you to list anything you don’t want on your florist eCommerce website. Are you breaking away from the florist wire services and striking out as an independent florist? We have a Starter Pack of products to fill some of the most popular florist categories like Birthday, Anniversary and Get Well flowers. Enabling our independent florist starter pack enables you to get your florist eCommerce website up and going even if you don’t have your products ready to put on your site. All you need to do is glance at the descriptions and prices and adjust them to your liking, and you are ready to go. Using our product starter pack allows you to add your products into SiteWorks as you can, while still having a productive florist website presence.